A series of new client ‘wins’ has seen West Bridgford based Vanilla Accounting virtually double the size of its team. From its centrally located offices, Vanilla Accounting serves clients throughout the East Midlands and the company has recently won new business from Beeston, Newark and Nottingham. “In recent years we’ve been approached by companies of all sizes. It seems to be a case of business owners or financial directors recommending us to their friends and colleagues,” commented managing director Phil Edwards. “This really is the best sort of recommendation, as it rewards all the hard work my team puts in providing, what we believe, to be the very best accountancy and business advice service,” adds Phil. 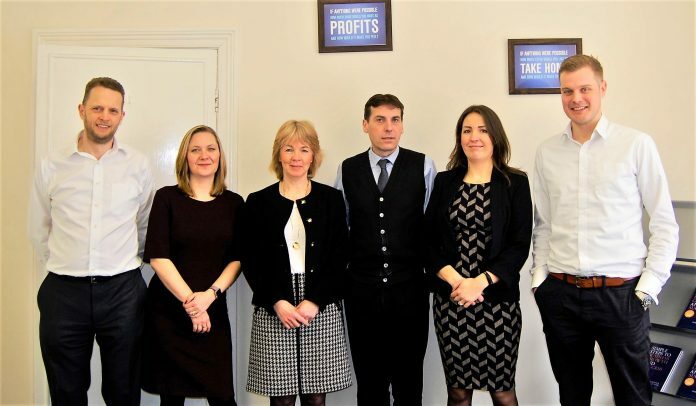 The large number of new clients added to Vanilla Accounting’s portfolio, and the development of more customer focused services, has meant that the company has just completed a major recruitment drive which has virtually doubled the size of the team. “We realised that in order to grow the business, deliver improved service to our existing customers and offer new services, we needed more people. We are fortunate that our reputation as an employer meant that we were inundated with applications, which meant we could choose the very best,” added Phil concerning the recent expansion. This is not the end of Vanilla Accounting’s plans however. “We are continually working with our clients to tailor our services to meet their needs. In addition, we have developed close working relationships with HMRC, which means we are able to focus on legislative changes which will affect our customers, and be able to plan ahead in order to ensure that they are fully compliant with any new directives,” so concludes Phil.